Are you looking for a Root Canal Treatment expert in New Delhi? For most of us, a Root Canal Treatment means a lot of pain. This is the first thought that hits most of the patients. This ‘fear of pain’ is sometimes so strong that one ends up avoiding the whole treatment. Delaying a Root Canal Treatment is the most common phenomena observed among patients. However, these days, the whole procedure of Root Canal Treatment has become pretty advanced. If a Dentist follows most of the new technologies out there, one can make the entire Root Canal Treatment procedure very easy for patients. With the advanced dental equipment available across the globe, a Dentist can now complete the whole procedure of Root Canal Treatment in just one visit. And the treatment experience for the patients could be entirely painless. The Dentist is an Advanced Dental Clinic in South Delhi, where the Doctors specialize in Root Canal Treatments. The Doctors at The Dentist have been practicing dentistry for the past 18-20 years. The chief Doctor at The Dentist is a Certified Endodontist who specializes in Root Canal Treatment. She has completed 2000+ Root Canal Treatment cases successfully. And most of the Root Canal Treatment cases she has undertaken were treated in just a Single Visit for the patient. And during the Root Canal Treatment, about 90% of the patients either did not experience any pain or just a minimal non-troubling pain during the treatment. Most of the patients who visited The Dentist for a Root Canal Treatments had to visit the clinic just once. In most cases, a Single Visit Root Canal Treatment is possible. Unless if the treatment is a complex one. Under a typical scenario where other Dentists don’t use advanced techniques for treatments, Patients usually end up visiting their Clinics multiple times for just a Root Canal Treatment. More than 90% of patients treated at The Dentist did not experience any pain while undergoing the root canal treatment. Or in some cases, they just had minimal non-troubling tooth pain. At The Dentists, Doctors use the most advanced techniques & instruments for Root Canal Treatments, which in turn ensures a painless treatment. The procedures followed for root canal treatment at The Dentist assures a permanent fix of the pain, without the loss of the tooth. Usually, a Patient never faces any difficulty or pain post the treatment, all throughout his/her life. 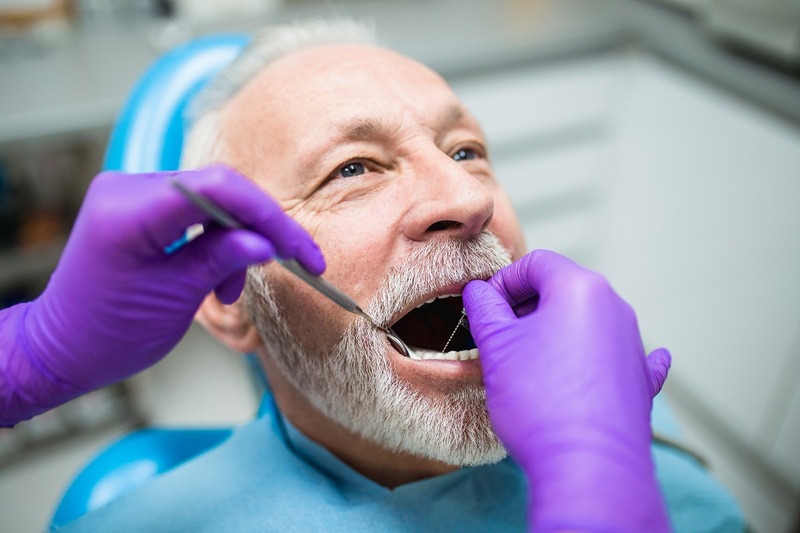 And if by any chance, you still experience pain or discomfort in the treated tooth, the Doctors here address your concern immediately, at no extra cost. The Doctors at The Dentist assure you of the treatment here. At The Dentist, Doctors use the world’s best technologies for Root Canal Treatments. The instruments used here are perfect by design and technology that goes behind it. These instruments and designed to deliver accurate measurements, even in extreme cases of the presence of blood or discharges experienced during the treatment. In turn, you undergo an accurate Root Canal Treatment. This accuracy further ensures that there would be no trouble in the future. ⟵How do I find the best Root Canal Dentist in New Delhi?